Funeral homes and cemeteries require payment up front prior to services rendered. The deceased may not have pre-planned with funeral insurance or “pre-need” trust. The deceased may not have valid and in-force life insurance to pay for funeral expenses. The majority of funeral homes offer no funeral payment plans after death occurs. Cemeteries offer no payment plans after death occurs. Most funeral homes do not accept estate or probate settlement cases. Faced with paying funeral expenses and the customary short time period from death to final disposition, funeral consumers are placed in a difficult financial position. Traditional lenders are reluctant to provide funeral loans for the funeral expenses, however FuneralPayPlan.com provides 24 hours a day 7 days a week service online. We provide families convenient access to our application process from computers of smartphones with immediate notification. The deposit of funds are made directly to the applicants account which means that funeral arrangements can be made at funeral homes with the confidence knowing that the funeral expenses are covered. Some families are limited in their choices of funeral service and product selection due to the bullet points above coupled with anxiety of depleting cash reserves to pay for funeral expenses. 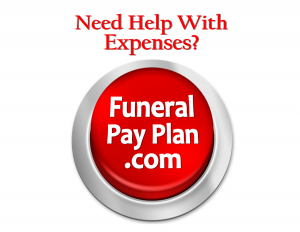 Take a few minutes and visit FuneralPayPlan.com to find out how much you may pre-qualify for prior to making funeral arrangements at your preferred funeral home. You and your funeral professional will be glad you made the choice to make the necessary affordable.